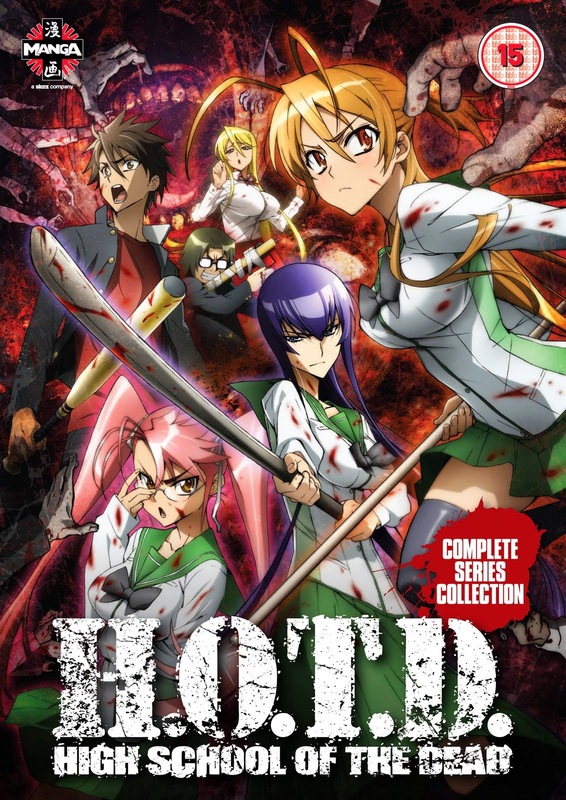 Highschool of the Dead saw its anime release during the latter half of 2010. The plot is set in modern-day Japan where an infectious epidemic is transforming japan’s population into zombies, the event has been labeled the “Outbreak”. Amidst the chaos, a small group of high school students and the schools nurse band together to try to survive. Along with the imminent threat of the living dead, the team must also contest with human raiders and the possible threat that lurks within themselves, each member of the cast has a dark secret, however, revealing these secrets might prove imperative to their survival. The Outbreak has seen the deterioration of civil society and now nowhere is safe, everything is fair game. As the group runs for their lives they soon come to realize that nowhere is safe not even home. My Review: This anime catches a lot of flack for it considerable fanservice, and while it does have its “moments” the show still has quite a lot of other values. There is some pretty cool action in the fights and some great tense moments. Some of the characters seemed a bit “cut and paste” or two-dimensional but that fact isn’t really a huge detractor. The main plot is actually pretty interesting although towards the end it started to feel like it was dragging on, also the side story seemed a bit unnecessary. One aspect that really stood out to me was that the show did a really good job of building the tone and environment, from the protesters of zombie peace to the location jumping, it really feels like the whole population of the city is affected in some great way, completely uprooting and changing their lives. If you’re looking for some fun bloody action then give this one a swing, just don’t expect a master narrative.